I went to the night market and totally pigged out on random food. 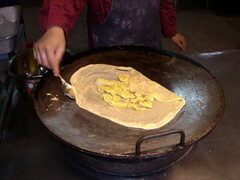 This was a banada chocolate roti made by a Malaysian lady. The street vendors rock!